As much as I love anime, I will admit that the one genre I tend to stay away from is romance. There’s something about typical romance anime tropes that make the relationships completely unbelievable. When I do decide to dive into the genre, I typically grab a Makoto Shinkai film because I know he has a grasp on anime romance that no one today can really touch. I decided to do something different this time though. I decided to watch Hal. Hal follows the story of Kurumi. After a plane accident kills her boyfriend Hal, she falls into a deep depression. She locks herself away in her home and refuses to speak to anyone. Recognizing this, a scientist decides to send a robot that looks identical to Hal over to her house to help her get over the loss. One of the things that made me curious about Hal was its 60-minute runtime. I wanted to know what it could provide in such a short amount of time given the heavy subject it’s trying to address. To my surprise, Hal doesn’t really have much going for it. What could’ve been a mature commentary on the struggles of losing a loved one, quickly reveals itself to be a slice-of-life short film, with messages that are too on the nose to really have any lasting impact on its audience. For the first half of this movie we barely spend any time with Kurumi at all. Instead, we follow the robot, fumbling its way through learning about how to be human. There’s a lot of wasted time that doesn’t really do anything to further the plot or develop the characters. Yes, the robot does begin to understand some of the nuances of human behavior, but these moments of understanding are never explored for more than a single scene. One example of this is when the robot questions what he can do to help Kurumi feel better. He feels like he must understand exactly what’s making her sad in order to do that, but is quickly told by the scientist that it is impossible to fully understand anyone’s emotions. He’s told that the best thing a person can do for someone else in their time of need is just to be there. The robot clearly doesn’t fully grasp this concept, but the scientist never expands on that idea. Instead, he immediately backtracks and claims that he’s no philosopher. The second half of the movie is a definite improvement. Kurumi gets more involved, and this is when we learn more about her and Hal’s relationship. Some pretty cool and unique plot elements are used here to help illustrate their relationship and give more context to the audience. The first is the use of Rubik’s cubes. 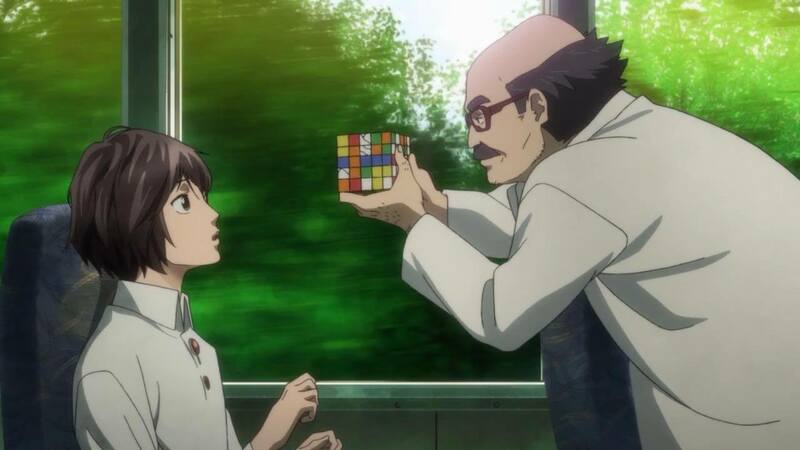 Kurumi and Hal would write wishes on the faces of the cubes that they hoped would one day come true; knowing this, the robot begins to solve the cubes to learn more about Kurumi in an attempt to get closer to her. The second element relates to the subtle differences between the world in the movie and real life. At first glance, everything may seem normal, but the technology in this world is a lot more advanced. 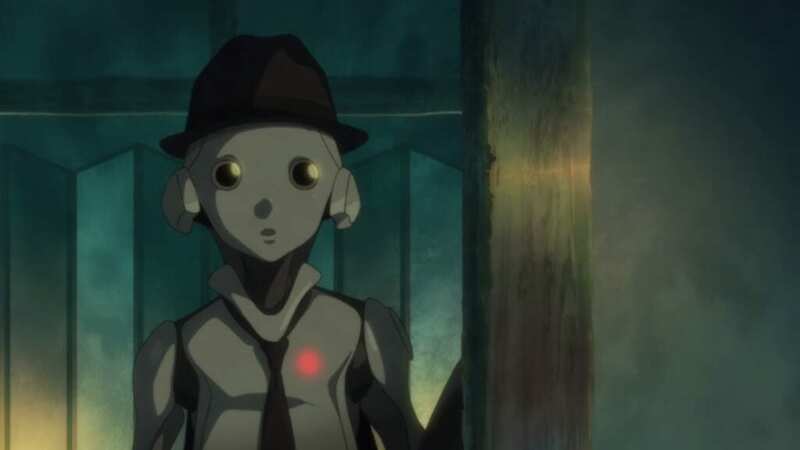 For starters, this is a movie about a robot that is made to look identical to a human being. Knowing this is part of their reality makes it easier to accept the idea that Kurumi makes buttons for a living that are able to record videos. She used one of these buttons to record some of her time with Hal, and it’s used as a way to give the robot and the audience a look into their life. All of this eventually builds to a conclusion that this movie really hopes you are on board for. When looking back at Hal as a whole, it seems like the ending was written by itself, and the actual story was just there to get us to those final 10 minutes. Despite the ending being quite predictable, it still manages to pack an emotional punch. This is largely due to some of the technical elements of the film. The English dub for Hal is really good. Chris Burnett as Hal/the Robot is given most of the lines, and he is fantastic. He does a great job at playing a robot while not coming across as robotic. Most of his lines are delivered with this childlike innocence, rather than the typical cold disposition that robots usually have. When playing the real Hal, he is able to lean into the emotional scenes and really capture the moment. Bryn Apprill as Kurumi is given the easier job. For most of the movie, she plays the sweet, sad girl. The times when she has to flip the switch, she’s able to match Chris’ emotion and create fantastic scenes. The music also compliments the tone of the movie very well. Michiru Oshima composed a very quiet score that never really overpowers a scene. The only time the music feels like it has a commanding presence is at the end, but even then it’s still playing sidekick to the beautiful animation. The art style may be generic, and the character designs are nothing special, but it doesn’t stop Hal from looking great. The animation quality remains at a pretty high level for the entire movie. I can only remember one scene where it looked as if the quality dipped, and it didn’t stray too far. The animation also goes to a different level during important scenes. This is especially true for the last big scene, where everything from top to bottom looks stunning. It was a nice touch and added to a moment that I’m confident will floor a lot of people who decide to watch it. Overall, Hal isn’t the best movie. For most of its runtime, Hal felt like a shallow slice-of-life short film that could be confused with any number of other anime. This was a missed opportunity to see a person’s grieving process through the perspective of someone who has no idea about human emotions. Instead, it feels as though the journey to get to the finale is nothing more than an obligation. The saving grace is that the technical aspects help to elevate the very few moments worth being invested in. The voice actors bring passionate performances, the music compliments the movie beautifully, and the animation makes it so this is all very easy to look at. If you’re curious about this ending, I keep hinting at then give the movie a try. Just don’t expect to be blown away by anything leading up to it. Hal is a surface level romance movie that never dares to explore the themes it introduces. The ending saves it from being a complete waste of time, while the technical aspects help make the movie a lot easier to sit through until then.